For Red wines to reach their full potential they need to “breathe”, allowing them to open up, release their intended aromas, and of course, attain the best taste possible. That used to be accomplished by the time consuming process of “decanting” a bottle of wine. Once the bottle was decanted you needed to wait for anywhere from 30 minutes to 3 hours for those transformations to occur. The Secura’s Multi-Stage Aeration System infuses your wine with the optimal amount of air, instantly instilling; better bouquet, enhanced flavors and smoother finish. Perfect aeration in the time it takes to pour a glass. It couldn’t be easier. This aerator eliminates the need for that time consuming decanting process. 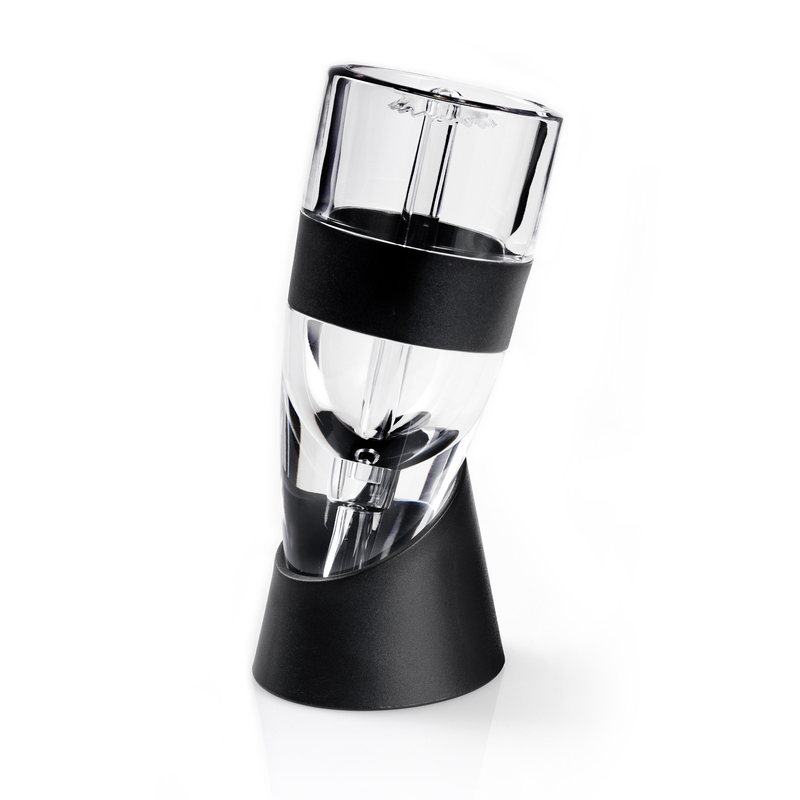 The Secura Wine Aerator comes with a no-drip stand and a convenient carrying bag. Made of super tough acrylic, the aerator and high-impact plastic stand are dishwasher safe. The crystal clear acrylic wine aerator is elegant and easy to clean. At Secura we stand behind our products; this Wine Aerator comes with a Lifetime Warranty.